Today I have a lovely guest here on the wedding blog: Hannah from Hannah's Makeup. She's not only one of my beautiful brides-to-be, she is also a talented makeup artist. Some weeks ago I saw by myself how she works, how professional she is and how she makes every bride-to-be and bridesmaid confident with their look and at ease. You may think that being a male wedding photographer and not using makeup make me unqualified to differentiate between a good and bad makeup artist. Well... if you think that I'm afraid you're wrong. Yes, I don't use makeup but I've been working in the fashion industry and I know what type of makeup I need for a fashion shoot. Makeup is actually not that different from photography and it's even very close to digital retouching. Yes, I don't use a huge amount of retouching for wedding photography, but thanks to having worked closely with professional makeup artist I know what areas to highlight, what areas I should focus on and what I shouldn't touch up. 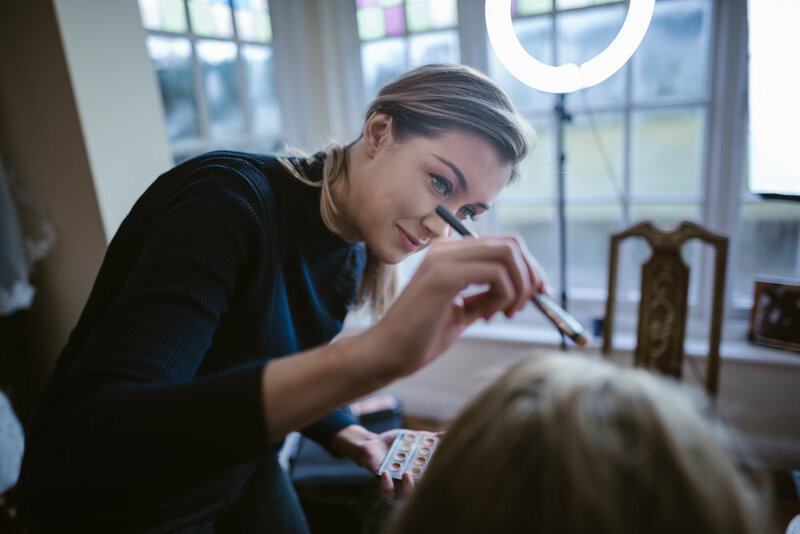 A good wedding makeup artist can make a huge difference on your wedding day and also can improve your confidence and in consequence your wedding images. When I met Hannah as a makeup artist and she told me how important is to make their brides to understand during the makeup trial that a good skincare routine, weeks or months before their wedding, is a must I knew she was very good. 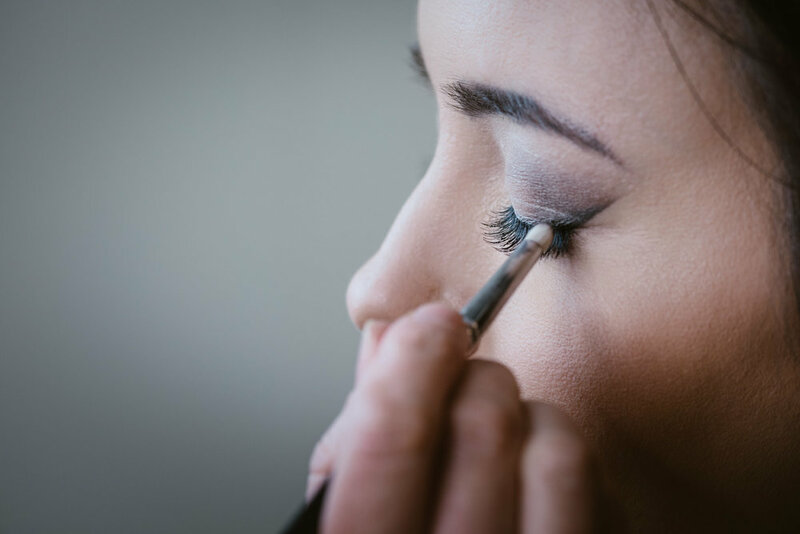 Because, she doesn't just show up on your wedding day to do your makeup, she works with you to make you feel and look flawless no matter what. That's a difference! Without delay I leave Hannah to let you know more about her and her business. I hope you enjoy and feel free to share, like or comment. To be a supplier of a service you expect customer service but to be a wedding supplier, the expectation differs and is expected. To be part of someone’s wedding day even as a guest is an honour, as it is to be specifically chosen for my makeup services. To be there on your special day is an absolute privilege for me and I believe in offering higher levels of service than most wedding suppliers. As a bride to be myself, I can empathise with bridal clients and have felt let down or treated without care or interest in my wedding day visions. This has driven me to be a bridal makeup artist with a difference. I have come from a background of customer service and have always considered excellent service as a relationship. A relationship forms with the customer if the service has been achieved. That customer will always go back to that supplier or recommend to others as that service has been established and maintained. I can honestly say this has been the case with many of my clients and consequently they have further recommended me or become a returning customer. I champion excellent customer service and I deliver this by responding to the client in a timely manner, answering any queries or concerns, providing reassurance and guidance throughout the relationship and cannot emphasise enough the importance of reliability and punctuality as a supplier. From the initial contact, through to the trial you can be rest assured I am there for you, any queries or concerns you may have I can help. The trial is an important stage of the process; I get to know you, your likes, dislikes, your current skincare regime, how your skin is day to day, how you wear your makeup day to day, any concerns you may have and how you would like your makeup to be for your wedding day. We also discuss the day itself too, the dress, the bridesmaids, their dresses, the venue, and its styling. All this information helps me create a bespoke look for you. I offer skin care advice and recommend tried and tested products that work depending on your skin type to help make your skin the best it can be in the lead up to your wedding. At the trial I note down all the products used and I take before and after pictures. I later send the photos to you for your own records. I believe in honest services and tend to steer away from predominately using professional pictures. I like you to see the makeup without edits and to see how flawless I can make your skin. I also send you a personalised timetable for the running order for the morning. You can then share this with your photographer and hairdresser which later helps create an organised and stress free morning for you. In regards to my kit I come loaded with a makeup arsenal for any skin type, condition, age, and ethnicity. I am not loyal to any specific brand and do not work for any brands. I use products that I have personally used, knowing what works and what will last on your skin without making you look like you have lots of makeup on. I am aware brides wants to look like themselves but better and I work on creating that natural flawless look. However, if you want a more glamourous look then let’s go for it. The makeup I use is of a high quality. I only use premium makeup and do not scrimp and save on makeup products. My makeup is expensive and it's expensive for a reason due to its quality and performance. I also come with my own lighting system, this system blasts the room with light so I can see what I am doing and will leave you looking seamless without makeup lines. When you book me, you get me – from the trail to the wedding day. You will not get a freelance makeup artist come to you on your wedding morning that hasn’t meet you before. When a wedding booking is secured with me I do not book other weddings for that day. I am 100% there for you!